Heat treatment of aspen and alder improves the properties of wood considerably and opens up new fields of application of these types of timber. Heat treatment is the technology which involves natural changes in wood cells when exposed to supersaturated vapour under the temperatures of up to 240°C and the pressure of 0.1–0.2 MPa. In the result, the pure, environmentally friendly, solid wood with a wide range of colours is produced. Nowadays this type of wood is widely used in the production of decorative dark inserts, which emphasize the classy design of saunas. Thermally modified wood is as good as other species of wood. It is long-lasting and has a nice smell. 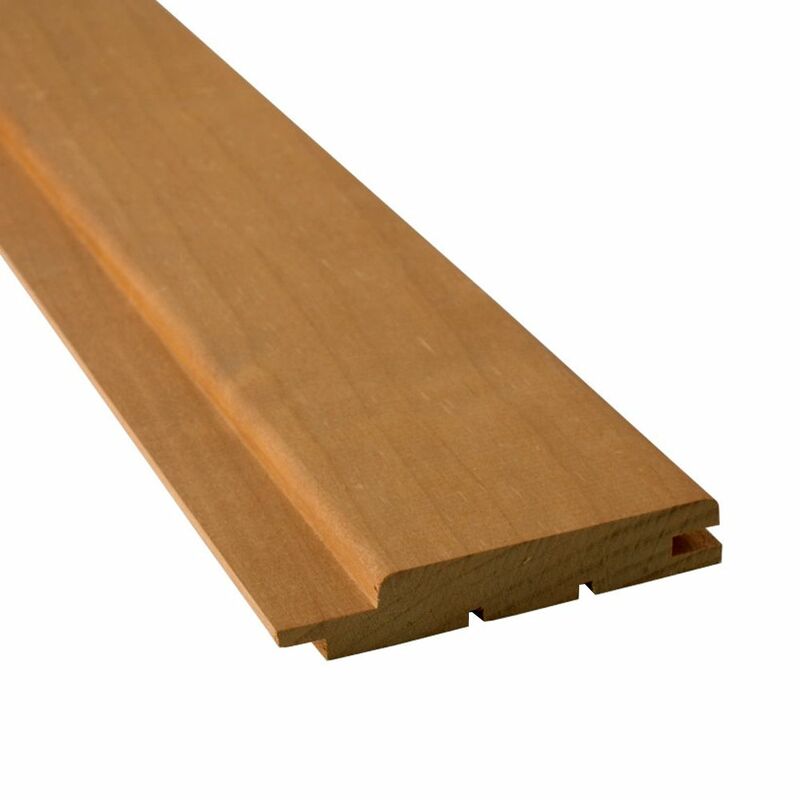 For the coating of 1m2, 5.96 planks with the height of 2100 (mm) should be used.